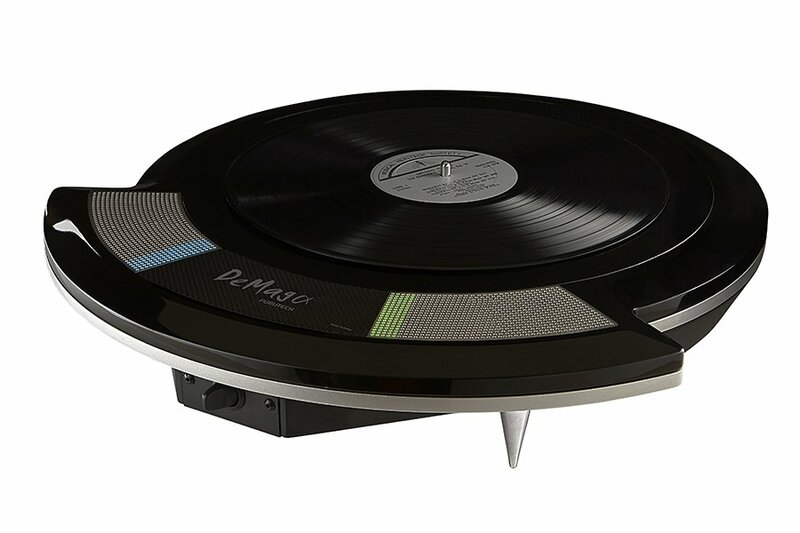 Like its predecessor, the new DeMagα (Demag ‘Alpha’) is a massive, luxuriously finished machine with a singular purpose: to discharge the magnetism that resides or builds up in LPs and optical disc media (CD, DVD, SACD etc), with the goal being improving their sonic performance. Furutech say it is “equally an indispensable accessory for keeping interconnect cables, connectors and power cords demagnetized to prevent magnetic signal distortion”. Returning to the earlier question of how a vinyl (i.e. plastic) LP can be magnetized, Furutech explain that the culprit is actually the pigment added to the plastic during the manufacturing process. This pigment contains small amounts of ferrous material which become magnetized as a record spins. The resulting magnetic field has in fact been measured by Tokyo’s Nanotechnology Center, as has the effect of subjecting it to the Furutech DeMag – revealing a clear drop. The Furutech DeMagα is available now, priced at £2,200 (incl VAT).